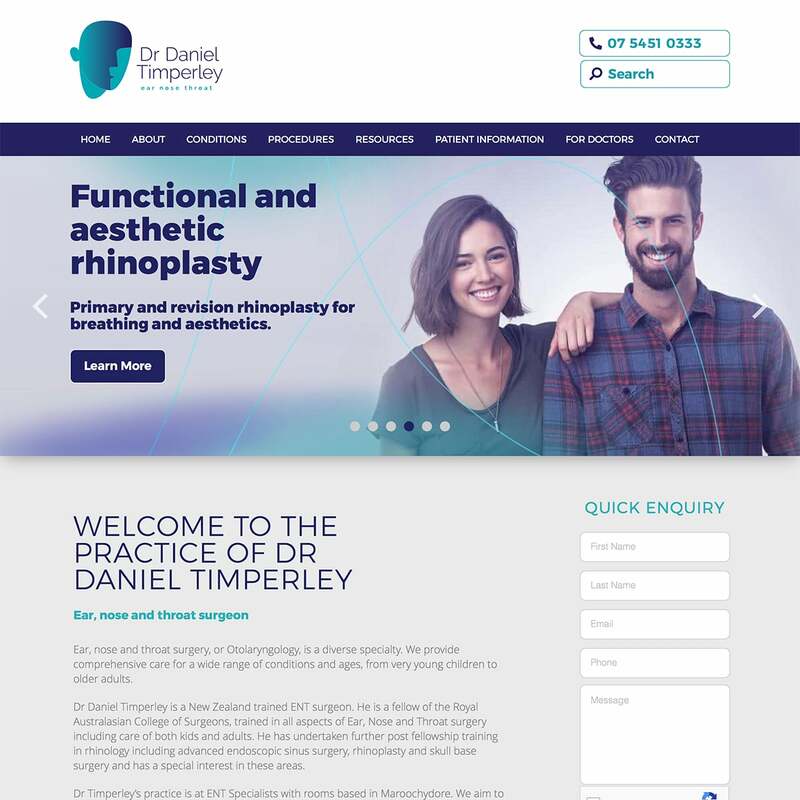 Dr Daniel Timperley is an Ear, Nose and Throat specialist – with interests in sinus surgery, rhinoplasty and paediatrics. 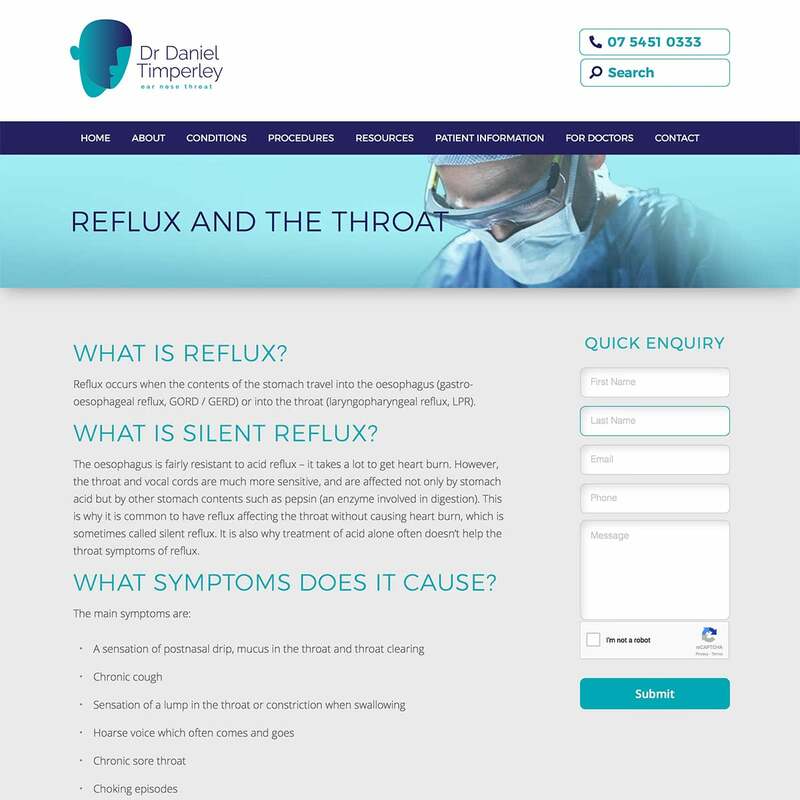 Dr Timperley comissioned Online Medical to create a new website. 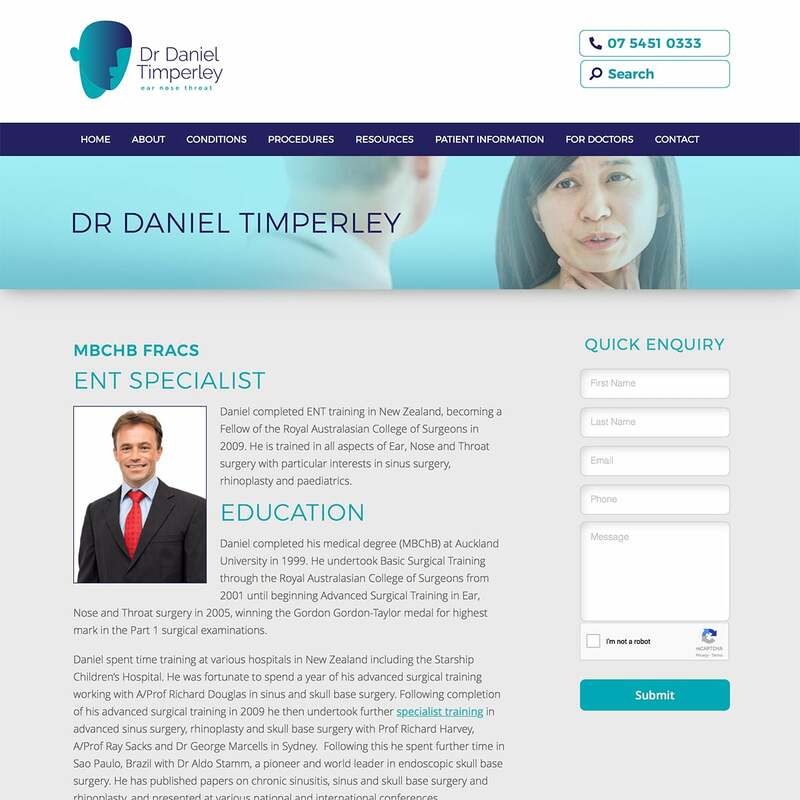 Dr Timperley's logo was quite distinctive and included a very strong colour theme, which we used as the basis for the design. Large blocks of colour merge with the photogaphy giving a distinctive colourised effect. Soft tints of the primary and secondary colours are also incorptorated into sliders and other banner images. The information architecture was fairly straightforward and navigation structures effectively accomodated the comprehensive content. 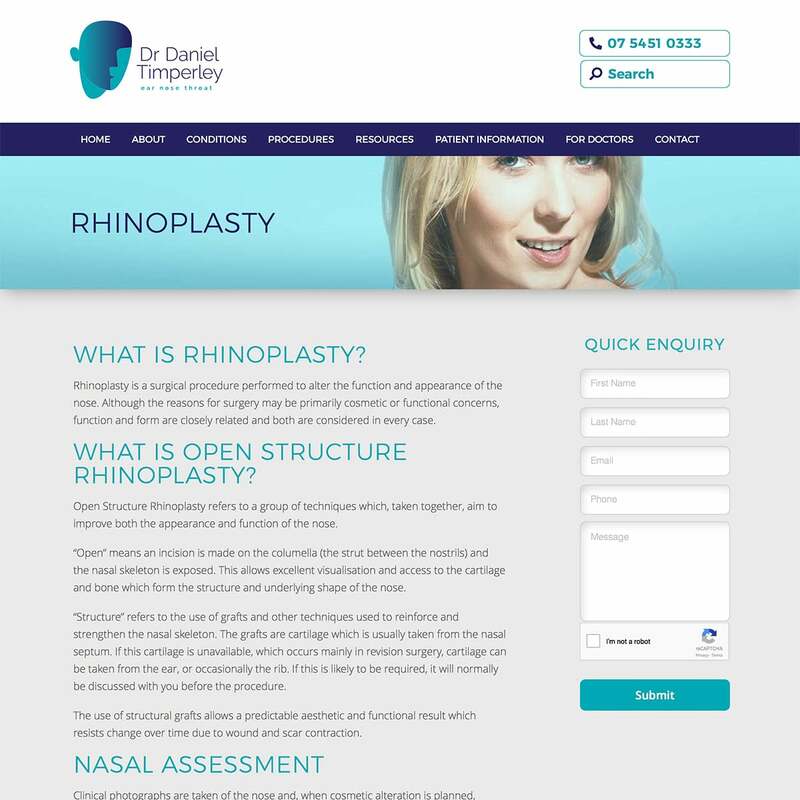 The project met all of the client objectives and offers a great resource for patients. 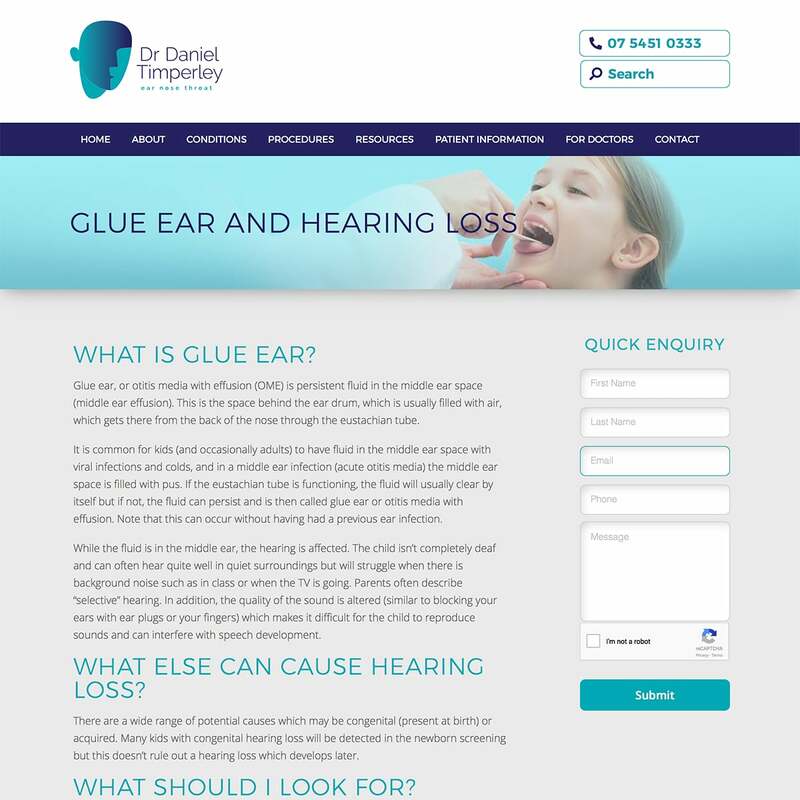 The client was quite happy with the finished website.